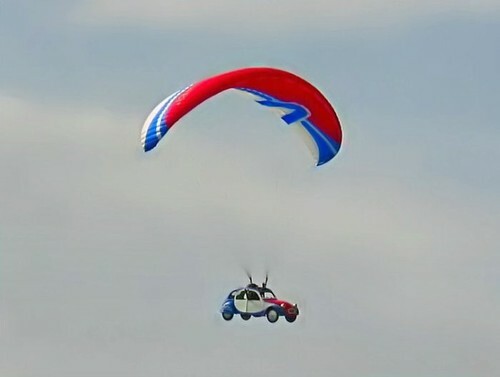 A water powered parachute jump is primarily executed in emergency situations only. During this jump, the jumper prepares as he might for any other jump. The real difference between this jump and another is that he lands in the water. Water parachute jumping isn't really something for members of the general public to engage in, as it offers extra dangers that traditional jumping does not. Water parachute jumping must take place in water of appropriate depths. Landing in water that is too shallow can cause spinal cord injuries and drowning. As a result, typically only emergency personnel and members of the armed services complete water parachute jumping. 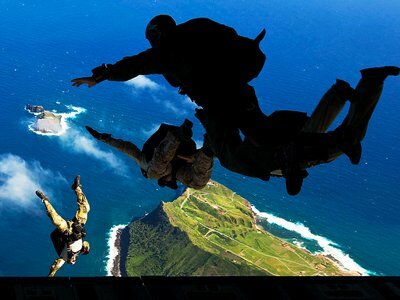 In order to engage in a water parachute jump, a member of the military must demonstrate his or her swimming ability both in and out of the uniform. Because water parachute jump style emergencies will sometimes take place while crew members are wearing their full uniforms, members often practice in full uniform. Members must also go through training that teaches them how to get out from under the parachute once it has collapsed in the water. As with any fabric, the material used to make parachutes gets quite heavy when wet. Because with a water jump there is the added risk of drowning, military service personnel are trained about how to get rid of the parachute to avoid the serious risk of drowning once they hit the water. Jumpers are also trained in the use of flotation devices, which also reduce the risk of drowning once a jumper lands in the water. The Florida National Guard trains for a water parachute jump on a regular basis. Because Florida is the regular recipient of tropical storms, hurricanes, and other water disasters, guard members must be ready to make a water parachute jump at all times. They must always wait for training, though, until the water levels in their practice drop zones are just right to avoid the dangers of landing in shallow water. Before any jump, they take a refresher type training course. Then they are loaded into a plane, typically a C-23, and they make their jump. These jumps provide service personnel members with confidence in case they are ever required to make an actual water parachute jump in the line of duty.